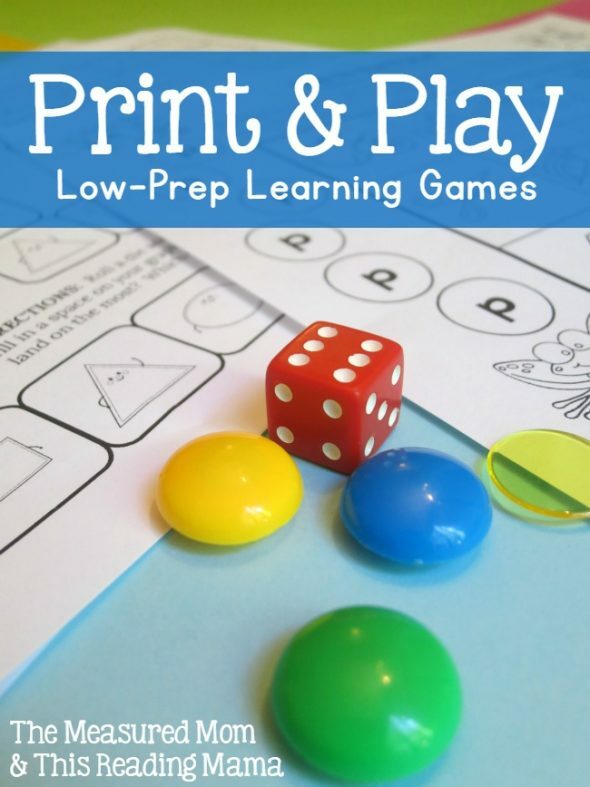 Free printable games for K-2: Just Print & Play! Today I’m excited to announce the start of a new series! This Reading Mama and I are teaming up again to bring you thoughtful, unique learning activities that you can do with your child at home or with your students at school. Have you seen our other series? It’s summer, so we’re keeping this series of free printable games playful and light. 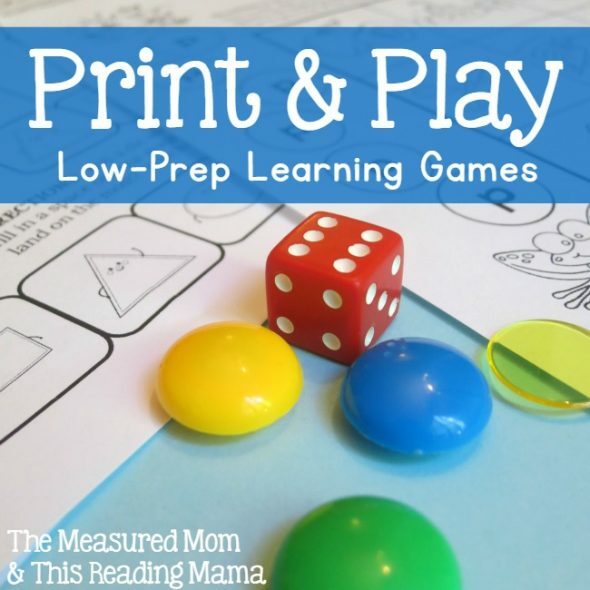 Over the course of six weeks, This Reading Mama and I will be sharing a total of twelve printable games for children entering grades kindergarten through second grade. These aren’t just any printable games! That’s right… just PRINT and PLAY! On Tuesdays, I’ll post a math game, and on Thursdays Becky will post a literacy game. 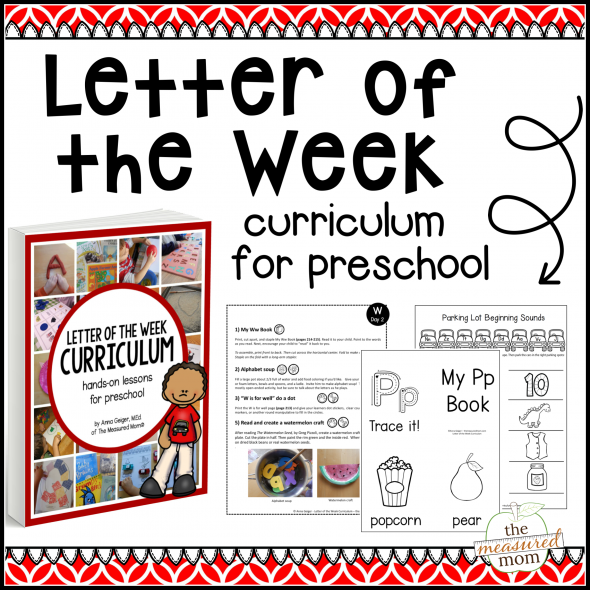 Creating printables is a shared passion, so we are both super excited to begin this series! Do-a Dot markers – When I first bought these I was a little surprised by the price tag, but these things last a looong time. They’re great for developing fine motor control, too! Power magnets – These colorful round magnets are such fun manipulatives, and I can’t tell you how many times we’ve used them! They’ve paid for themselves again and again. Dice – This is only essential supply on this list. You can grab one from one of your board games and be all set – or purchase this set of dice so they’re always on hand. Transparent counters – This is a recent purchase, and a great one. I love that you can see through them, and they’re the perfect size for learning games. Buttons – These craft buttons make great manipulatives. Plus, it’s always nice to have some craft buttons on hand when your kids are something. Unifix cubes – These colorful stacking blocks are a versatile math manipulative that we use often. Check back here for links to the games as they’re shared! © 2015, Anna G. All rights reserved. Hello, I’ve been trying to download the Print and Play games but keep getting a page that says “no data received.” Is there a place I can download all the games in one place? Thanks! Hi Amy, I’m sorry you’re having trouble downloading my printable! This is the only place to download this printable, and it should work. Here are my top two tips. 2. Save the file to your computer and open from there to print. To do this, RIGHT click on the word HERE. Then click SAVE AS and save to your computer in a place where you’ll find it. Then open and print from there. If you’ve tried both of these solutions and you still can’t access the printables, please check out the tips in this post. 99% of the time, one of these will work! I had this same problem, so I used Chrome and made sure I was accepting cookies and all went well. Thanks so much for these! The kids will love them! I’m glad you could get them to download, Jeannette! I just wanted to tell you a cute story about finding your site. I retired from public school teaching after 36 years. I missed teaching and currently teach pre-school 3 mornings a week. My daughter teaches in a private school in South Korea. She was not an education major, but she knew many of the materials she was given were not helping her kids. She found your site and it has helped her immensely . She has been after me to check out this site every time we Skype. Today I did and I am thrilled! Who said you can’t teach an old dog new tricks! Thanks so much for all the great stuff from a mama and her daughter! I WOULD LOVE TO download your shape graph game….but I can’t find where to do it!! Hi Patty! Scroll down to the end of this post and click where it says “Get your free games HERE.” Click on HERE. Hi Anna, thanks so much for your great and wonderful teaching materials. Your have such great ideas and activities that my kindergarten children enjoyed and had fun doing them. Thank you so much for your kind note, Christin! I’m just thrilled to hear that your students enjoy my activities! Hi Hannah – there are quite a few links on this page. Which one was giving you trouble? Thank you SO much for your generosity in sharing these resources! They have saved me countless hours and I am so grateful – bless you! I’m thrilled to hear that I’m saving you time, Cindra! Yay! You have such amazing resources!! My kids love the games. Thank you for sharing and please keep doing it. I am a long term sub in a first grade classroom. I have NO resources for reading and math center times. I can’t tell you how much I appreciate these resources. You have saved me!